Earlier in June, we received news that Japanese girl group Juice=Juice will be coming to Malaysia, as part of their debut world tour, Juice=Juice Live Around Tour 2017. 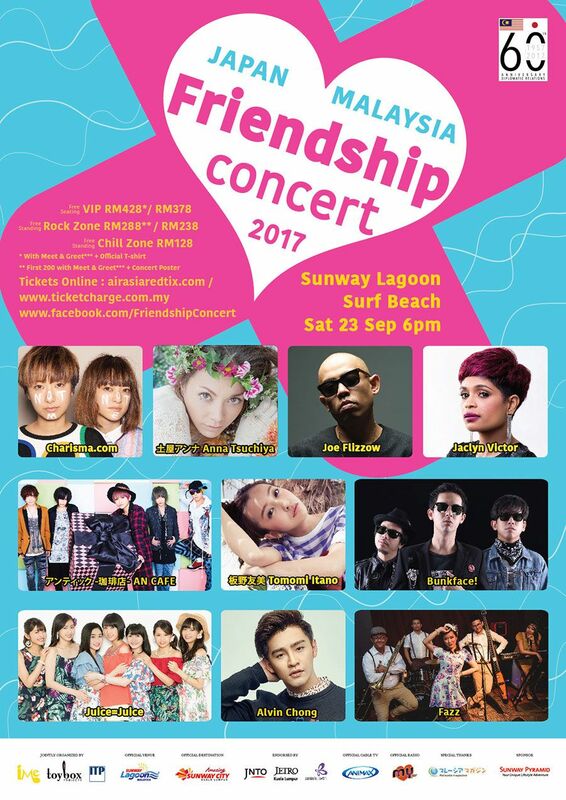 Not long after that, the organisers of Japan x Malaysia Friendship Concert announced that they will be bringing the group to Sunway Lagoon alongside several other Japanese and Malaysian artistes for a special concert. 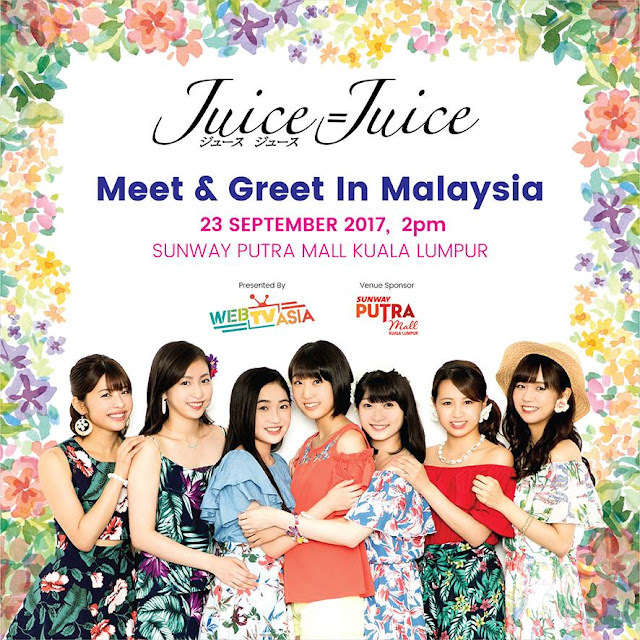 Now, get ready to see the girls in flesh as our friends from WebTVAsia – the organiser behind Viral Fest Asia – is holding a special meet-and-greet session for Juice=Juice and their Malaysian fans! The meet-and-greet session is open to the public and will take place on 23 September 2017 – same day as the concert – on 2pm at Sunway Putra Mall, Kuala Lumpur. Of course, just looking at them from afar won’t be fun, so purchase a Juice=Juice merchandise item and you will get to join in the hand shake session with the group, and if you buy TWO merchandise items, you will have a chance to win a group photo session with Juice=Juice! Formed in February 2013, Juice=Juice initially started as a six-member group consisting of Miyazaki Yuka, Kanagawa Tomoko, Takagi Sayuki, Miyamoto Karin, Uemura Akari, and Aina Ōtsuka, but in July 2013, Otsuka left the group due to contractual issues with her family. After performing as a quintet for four years, the group recently added two new members – Ruru Danbara and Nanami Yanagawa – on 26 June 2017, making Juice=Juice a seven-member girl group. The Japan x Malaysia Friendship Concert will take place on 23 September 2017, 6pm at Sunway Lagoon Surf Beach, featuring an array of performers from Japan and Malaysia including Itano Tomomi, Anna Tsuchiya, An Café, Charisma.com, Joe Flizzow, Jaclyn Victor, Bunkface, Alvin Chong, and Fazz. Tickets priced at RM132 (Chill Zone) and RM242 (Rock Zone) are available via ticketcharge.com.my and airasiaredtix.com.